This category will contain a listing of past shows. 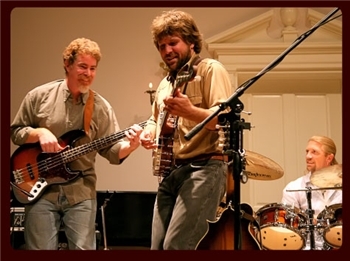 An incredibly talented multi-instrumentalist, dedicated performer, prolific songwriter and gifted and expressive vocalist, Kort McCumber brings his band, High Road, playing Americana music steeped in tradition; honed over a musical lifetime and brought to life in the present, to Alamosa’s Cole Park, Sun., July 29 at 6pm, for a show in the Sundays at Six series of free concerts presented by the Alamosa Live Music Association (ALMA). Young Women of SHEL to Return to Alamosa with their Ferocious Mix of Folk, Rock and Celtic Styles. The young women of SHEL blew away the crowd with their mix of Celtic, folk, rock and even a little hip-hop, during a show at Adams State last March. Now they return to play the Alamosa Live Music Association’s (ALMA) Sundays@Six series of free concerts in Alamosa’s Cole Park, Sun., July 22, at 6pm. SHEL is sophisticated and youthful, emotional and lighthearted, classic and eccentric. Their engaging live show is marked with a prodigy’s creativity and a veteran’s instinct for entertaining. Audiences delight with their unique songwriting style and fresh, new sound. 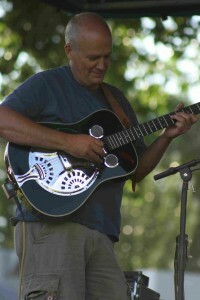 Don Richmond plays in the park. “Don Richmond’s singing and songwriting pack a disarming punch, going down like good bourbon in Rocky Mountain spring water,” according to a writer from the late Rocky Mountain News. Bourbon will not be served, but Don Richmond and friends are upcoming performers in the “Sundays @ Six,” series of free concerts in Alamosa’s Cole Park, presented by the Alamosa Live Music Association (ALMA), Sun., July 15 at 6pm. Richmond’s smooth, powerful vocal style, his impressive command of the guitar and many other instruments, his moving and creative original songs, and his fine selection of other writers’ material combine to provide a varied and pleasing musical experience for all who hear him perform. His years of experience playing everything from a sold out 10,000 seat arena to rowdy bars in little mountain towns give him a relaxed and confident stage presence that seems to provide an immediate bond with the audience, and a good time for all. “It may be a bit of a retrospective, although the biggest part of it will be from the newer stuff,” Richmond said of the material he planned to cover in the show. “ It’ll be fun,” he added. The tentative lineup of the band includes Richmond, Jim Bradley (Rifters, Hired Hands) on bass, Scott Russell (Tumbleweed) on mandolin and guitars, Matt Schildt on keyboards, and Creed de Avanzar (both were on the “Like Lazarus” CD) on hand drums and percussion, and possibly some other guests. The young women of SHEL returning with their Celtic folk-rock on Sun., July 22 at 6pm, in Cole Park. Harmonica wizard John Carey and his band are well known throughout the southern club circuit for their unique sound which brings New Orleans funk and R&B together with the sounds of Memphis soul and Chicago blues. Carey and his band come to southern Colorado this Sun., July 8 at 6pm, as they play in the Sundays at Six series of free concerts in Alamosa’s Cole Park, presented by the Alamosa Live Music Association (ALMA). In the past, Carey has shared the stage with blues legends like James Cotton, Buddy Guy, Bo Diddley and Junior Wells. He has played with Chris Thomas King (who acted as blues man Tommy Johnson in the movie “O Brother, Where Art Thou), New Orleans boogie piano master Henry Butler, George Porter Jr. of the Meters, and the Memphis Horns. In the New Orleans scene, Carey led weekly jam sessions that became favorite night activities for local musicians and blues fans. 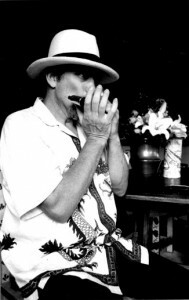 “Like Dr. John, Carey splits his musical time between classic Crescent City rhumboogie and brassy contemporary funk-blues, often combining the two with good results,” is how Blues Revue magazine described his style at the time. Although Carey’s time spent in New Orleans had proven to be prosperous, Taos, N.M. was another place where his heart and soul resonated. He currently splits his time recording and performing live music between Venezuela, Chile, Florida, New Mexico and New Orleans. Next up in the Sundays at Six series is Don Richmond leading a group of musicians on Sun., July 15 at 6pm, and the young women of SHEL returning with their Celtic folk-rock on Sun., July 22 at 6pm, both in Cole Park.